It is wedding season again and lots of brides are looking for an affordable, easy to make DIY wedding props. Vicki (our own queen of DIY) and I met for coffee a few weeks back to brainstorm the best ways to build some of the props Ashley wanted Vicki to create for her upcoming wedding. I knew Vicki was planning to build the props in her workshop and then transport them to the wedding venue. She only had a few hours to set up so the props not only needed to be light weight, they also needed to be easily assembled on site. Finally, Ashley was trying to create a unified modern vintage look. And topping her list of fun wedding props was a DIY wedding ice cream bar. 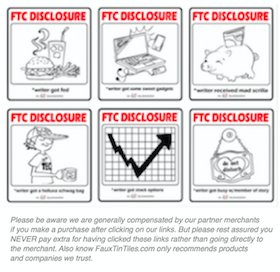 It took me maybe 30 seconds to digest all of the requirements before I blurted out styrofoam ceiling tiles! 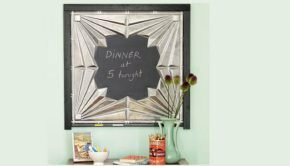 At first Vicki stared at me confused but after I ran into the garage and re-appeared with an unpainted tile the lightbulb went off and she knew exactly why decorative ceiling tiles are the perfect product for creating backdrops of all kinds. They are not only perfect for DIY weddings, they work equally well to create Hollywood sets, photography backdrops, and even trade show exhibits. 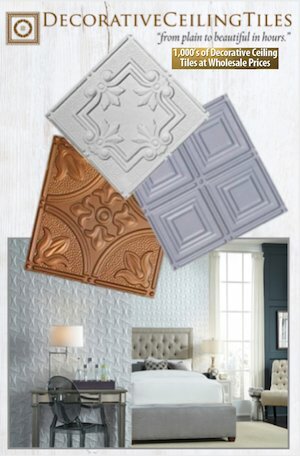 Not only are styrofoam tiles feather weight, they can be readily painted any color you want. Vicki found a paint roller worked best for her. 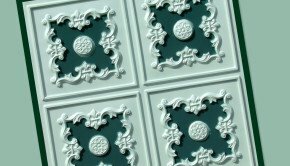 She said the only tricky part was making sure the paint properly filled in the embossed recesses. 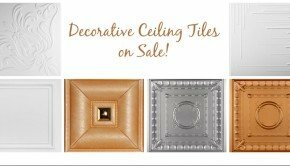 She decided to buy 4 sample packs of 3 Styrofoam ceiling tiles of her choice from my buddy Milan over at Decorative Ceiling Tiles. In the end, in order to give the tiles a little extra stability, Vicki also decided to mount them on foam board. I recommended Milan because I can vouch that his products are among the best quality available. Plus, I was confident knowing Milan would be more than willing to answer any questions or address any concerns she had as the project progressed. 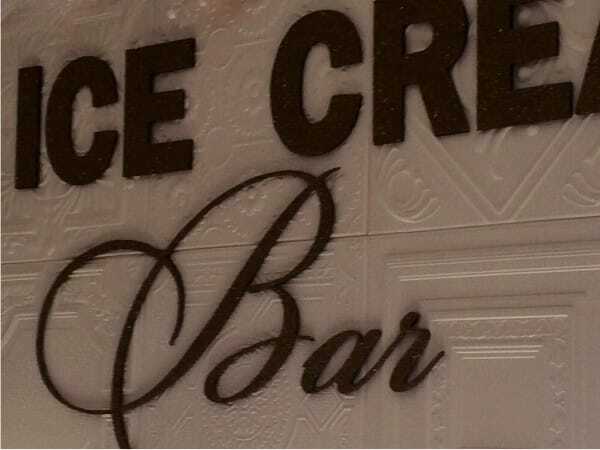 As you can see, the tiles gave Ashley’s ice cream bar the elegant yet vintage feeling she sought for under $50.00. Summary: Are you looking for a light weight, easy to use material to create sophisticated, elegant wedding props with a vintage yet distinctly modern style? 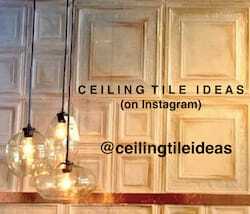 Think Decorative Ceiling Tiles! 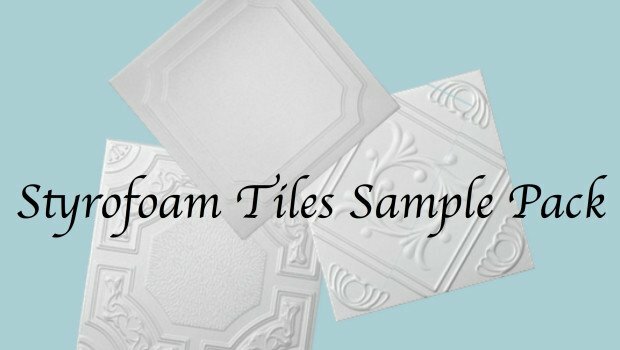 Styrofoam tiles are the perfect product for creating backdrops of all kinds including wedding props, hollywood sets, photography backdrops, and even trade show exhibits.